Over the past couple of weeks, rumors have leaked pointing towards an Apple-branded streaming television service that could include 25 channels for $30 to $40 per month with partners like CBS, ABC, and Fox. NBC and parent company Comcast are not part of the negotiations, and according to a new report from Re/code, that's because Apple has not approached Comcast about a partnership. Earlier rumors about the streaming television service suggested NBC's absence from the upcoming package was due to a falling out between Apple and Comcast, but on Thursday, Comcast said that wasn't true in a letter that it sent to the Federal Communications Commission. Comcast's letter was a response to a filing from Stop Mega Comcast, a group that's opposed to a Comcast-Time Warner merging, and in it, Comcast said Apple had not even approached NBC for a content deal. Stop Mega Comcast's note, filed on Wednesday, said, "Comcast may be withholding affiliated NBCUniversal ("NBCU") content in an effort to thwart the entry of potential new video competitors." The note cited a recent Wall Street Journal report that said Apple wasn't talking to NBCUniversal because of a "falling-out between Apple and NBCUniversal parent company Comcast." That's a bit right but mostly wrong, Comcast attorney Francis Buono wrote to the FCC: "Not only has NBCUniversal not 'withheld' programming from Apple's new venture, Apple has not even approached NBCUniversal with such a request." I've asked Apple for comment. It is not clear why Apple has not approached NBC about a possible content deal for its most recent streaming television efforts, but Apple and Comcast have attempted to negotiate a deal in the past, which didn't pan out. The Wall Street Journal has suggested that earlier talks failed to establish a deal due to Comcast's focus on its own X1 web streaming platform. As noted by Re/code, Apple could initiate talks with NBC in the future or potentially take advantage of a clause in the contract that was established when Comcast and NBC merged several years back, which would force NBC to license its content to Apple if Apple were able to establish deals with the company's competitors. 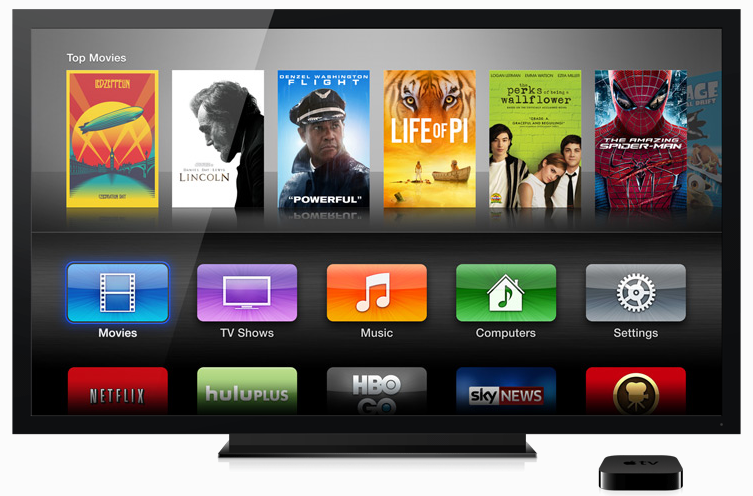 Apple may be planning to debut its streaming television service at this year's Worldwide Developers Conference in June. Many of the details about the service remain unknown, including the channel lineup Apple is aiming for, but the company is said to be in talks with ABC, CBS, Fox, Disney, ESPN, Discovery, and Viacom, which would give Apple access to channels like Animal Planet, TLC, MTV, Comedy Central, and Nickelodeon. The streaming television service may be accompanied by a revamped set-top box, rumored to include an A8 processor, expanded storage, an App Store, and Siri support. Because Comcast owns NBC Universal, I wouldn't have shown my hand to them either if I was Apple. Work with the other major players and launch, otherwise Comcast would have some competing box or start undermining Apple before the new :apple:TV even launches. This way is much better, let the public / govt demand NBC be available on the box. I hope Apple doesn't approach them. Launch the service without them, build up a strong user base, and use it as leverage when you finally do negotiate. I'm ready for this AppleTV/TV Streaming service event to be entirely underwhelming. I wouldn't really trust anything Comcast has to say. "Apple could... potentially take advantage of a clause in the contract that was established when Comcast and NBC merged several years back, which would force NBC to license its content to Apple if Apple were able to establish deals with the company's competitors." This is what they're doing, and it's absolutely brilliant. Clearly Comcast was an issue with Apple and it's original plans. Now, Maybe Apple said screw it, we will go and get all the providers on our own one by one, and not even reach out to Comcast, let them come to us. Brilliant! And I for one will live without NBC and all of it's other content for at least a few years, screw it. Why should Apple go back to these idiots? Clearly Comcast is going to bleed money until it changes it's course. This is an absurd claim on the face of it. Comcast wouldn't be lying, now would they? Could Comcast ever do something like that? So glad Comcast was able to buy NBC so they control the delivery and the content itself. Thus they have huge leverage to squash competitors and deny new entrants. I think Comcast will be forced to offer NBC to Apple. Provides to all MVPDs, at fair market value and non-discriminatory prices, terms, and conditions, any affiliated content that Comcast makes available online to its own subscribers or to other MVPD subscribers. Offers its video programming to legitimate OVDs on the same terms and conditions that would be available to an MVPD. Makes comparable programming available on economically comparable prices, terms, and conditions to an OVD that has entered into an arrangement to distribute programming from one or more of Comcast-NBCUs peers." Apple's goal here is to take over the TV business. Comcast would like to retain control. If Apple approaches Comcast, Comcast will have crazy demands in an effort to derail Apple's TV efforts. Apple knows that, so Apple is just ignoring them for now. Once the roles are reversed and Apple is the giant in the TV business and Comcast is a has-been, then Apple can approach them and offer to let NBC be on Apple's service. It'll be a favor for Comcast, and Comcast will be willing to take a crappy deal because otherwise they have nothing.